"In 1853, with money in his pocket and elegant clothes in his saddle-bags, a twenty-four-year-old New Englander of aristocratic Yankee stock toured the territories of California, Oregon, Washington, and British Columbia. The Canoe and the Saddle recounts Theodore Winthrop's Northwest tour. A novelized memoir of his travels, it became a bestseller when it was published shortly after the author's untimely death in the Civil War. This critical edition of Winthrop's work, the first in over half a century, offers readers the original text with a narrative overview of the nature and culture of the Pacific Northwest and reflections on the ecological and racial turmoil that gripped the region at the time"--BOOK JACKET. Still a fairly remarkable tale, though, and one featuring lots of romantic naturalistic literary flourish, while remaining quite readable. 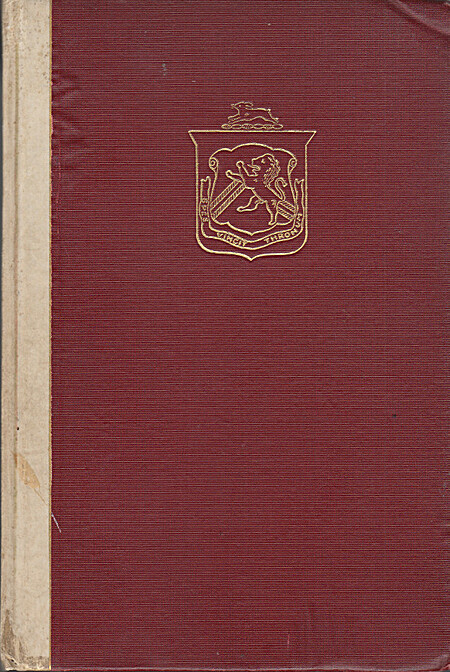 Published 1863 ( ©1862) First Edition. Tight, clean near fine. Brown stamped boards with gilt lettering on spine. ... "A twenty-four-year-old New Englander of aristocratic Yankee stock toured the territories of California, Oregon, Washington, and British Columbia. A novelized memoir of his travels, it became a bestseller when it was published shortly after the author's untimely death in the Civil War." The author, Major Winthrop, was one of the first Union officers killed in the Civil War in 1861. A novelization of the author's Northwest tour made in 1853, providing a vivid picture of the nature and culture of the pacific Northwest and descriptive conversations with the Chinook, Kallapooga, Haida Indians, among others. His narrative is told with considerable humor, and contains 4 pages of Chinook vocabulary. The second work, "Isthmiana, " was a sketch found among Winthrop's papers, a rapidly written journal of his travels in the Isthmus of Panama.